Love the look of rustic decor? These tips will help you get that Fixer Upper-style, Modern Farmhouse look in a few easy steps! Read on to see how to add more rustic decor to your own home! 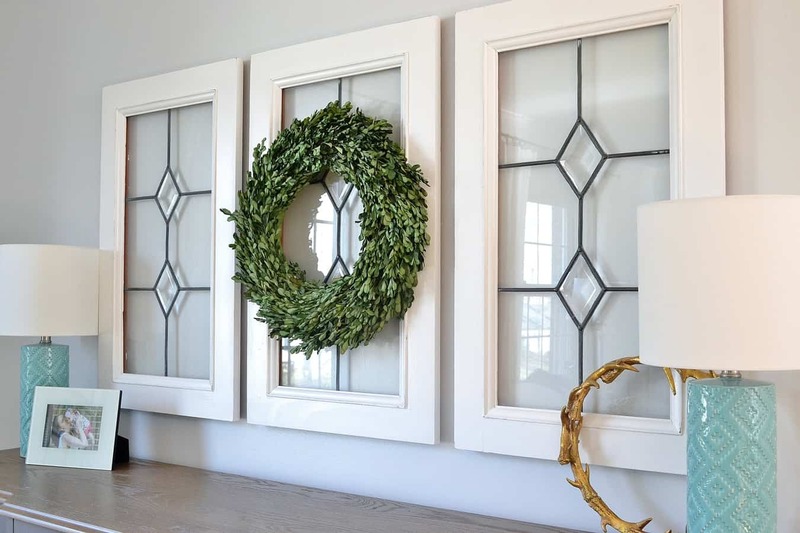 Farmhouse decor holds infinite charm, and fixer-uppers provide opportunities to make the home suit your family and personal taste. When you picture living in a farmhouse, you get swept back to horse and buggy times. You can bring that charm into any home. You’ve no mind to push an old wooden plow, but you wouldn’t mind installing one as a centerpiece in your garden display. You picture a modern farmhouse because you live in modern times and appreciate all the little conveniences. Rustic touches (see these Fixer Upper dining rooms, living rooms, and kitchens for more ideas) soften and add whimsy. Here are six ways to get the look. Instill a rustic comfort in your modern farmhouse style with the assistance of quilts. Quilts are classic and eccentric, with patterns to compliment every taste. There’s something undeniably charming and warming about quilts. Make your bedspread a quilt. Spread a smaller quilt over the side of your favorite chair or couch. Display an older quilt on the wall. Think practical as you move around your open kitchen, with its white surfaces and stainless-steel appliances. Homespun elements lend a rustic feel and fulfill practical needs. Display jams and oils in glass jars on the counter top. Hang frequently used pots and pans overhead. Place fruit in a wicker basket on the counter. Let herbs hang to dry in front of the kitchen window. Expose natural hardwood floors or install eco-friendly wood panels. Install a sliding barn door as the entry point into your dining room. 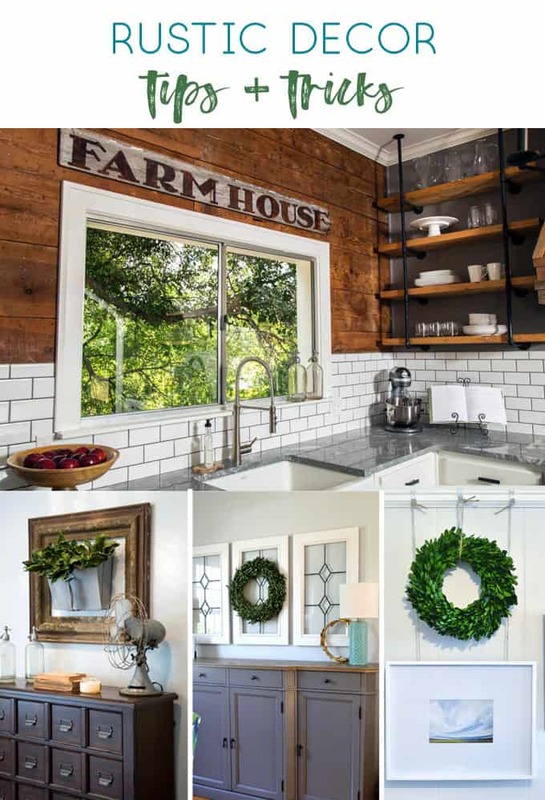 Use reclaimed wood to add your own rustic touch by creating modern farmhouse style DIY projects (these Joanna Gaines inspired projects are a great place to start). These don’t have to be big to add charm — try creating a vintage-style sign or add a wooden top to a boring side table. In America, the most popular decor trend of 2017 was the modern farmhouse style at over 29 percent voting for it out of all decorating styles. One way this style holds this winning trend spot is with a striking and clean look. Contrasting lights with darks create a classic and cozy feel. Select a neutral Earth tone to set the mood, especially a light one, and your dark accents will pop. Examples of colors to play with include traditional whites, creams and beiges, soft grays, pale cool blues, silvery-sage greens and pale yellows. Home feels unique and relaxing when you can mix and match your favorite furniture to your liking. Bring out your aunt’s china cabinet from storage. Pair a fifties-inspired modern sofa with a mix of antique hardwood chairs around the fireplace or coffee table. 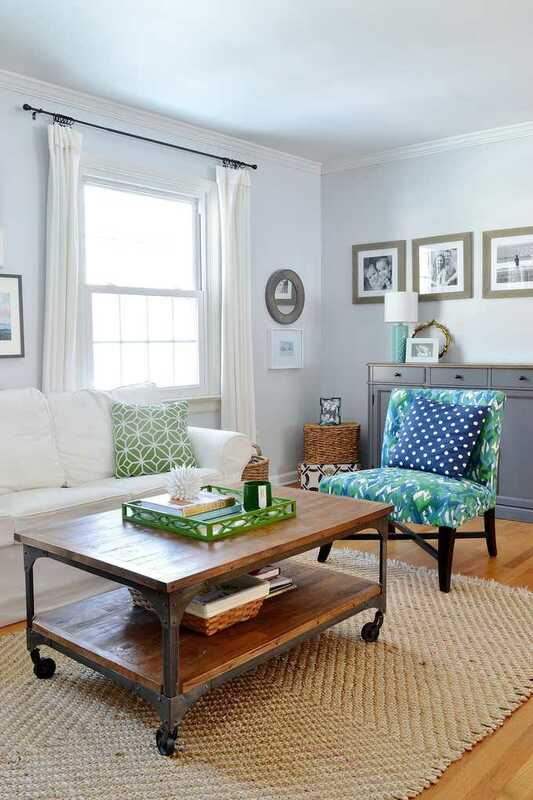 Mix old and new furniture to create the charm of a rustic and yet modern farmhouse. Hide electronics behind a sliding wood panel or beautiful cherry entertainment center. Less is more, and modern farmhouse style encourages families to return to simpler times. White Rocking Chairs on the PorchEvery farmhouse has a porch. That feature was a major reason you fell in love with the house. If your “farmhouse” doesn’t have a porch, pick a front-facing window with a view indoors or a sunroom and create your dream porch on the inside. It’s a must — farmhouse porches need rocking chairs. They need white rocking chairs to be exact. That’s the classic, rustic decor style. Though, if you want to paint the chairs yellow with purple polka dots, then go for the eccentric look. It’s a great point of reference for guests to find your home. Now that you have the rocking chairs, you’ll need a small table wide enough to hold tea and lemonade. Get ready for summer and wildlife watching. Soon, wildflowers will take over that old wooden plow. A storm will make your lace curtains swish against the soft gray of your walls. Pull your quilt close and enjoy your book as you relax in your rustic, modern farmhouse. Thanks for reading all about our Rustic Decor & Modern Farmhouse Tips and Tricks. Have a lovely day! Your post is very good, thank you the post.